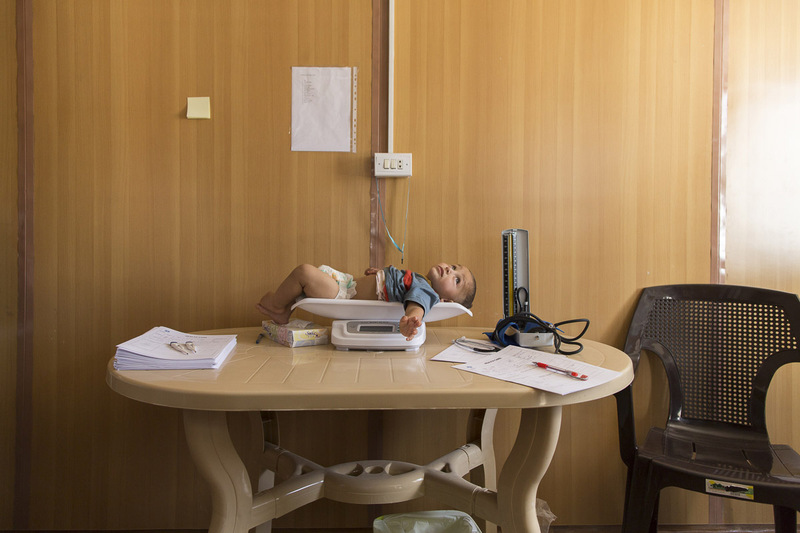 This photo was taken during the initial assessment of the child in the primary healthcare centre in Zaatari Refugee Camp. The baby was suffering of high temperature and respiratory problems, which were all due the harsh conditions in the camp. The camp is set in inhospitable desert and the surroundings are bleak. With few barriers to protect against the relentless wind and dust, many are suffering from severe respiratory conditions, as well as pneumonia and dehydration.